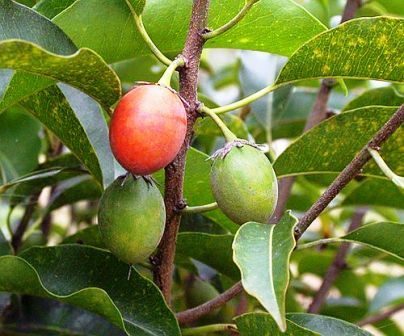 Spanish cherry is a tropical plant that grows in South Asia, South East Asia and parts of Australia. Though it bears edible fruits, but it is planted more as an ornamental tree in gardens. 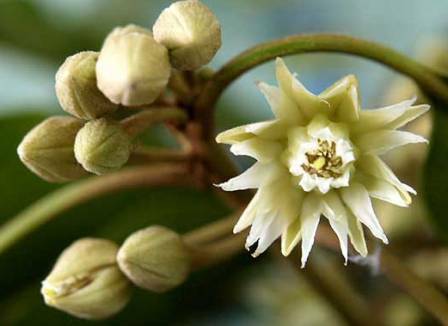 In India, it is widely planted in Deccan Peninsula for its flowers and as shade tree. 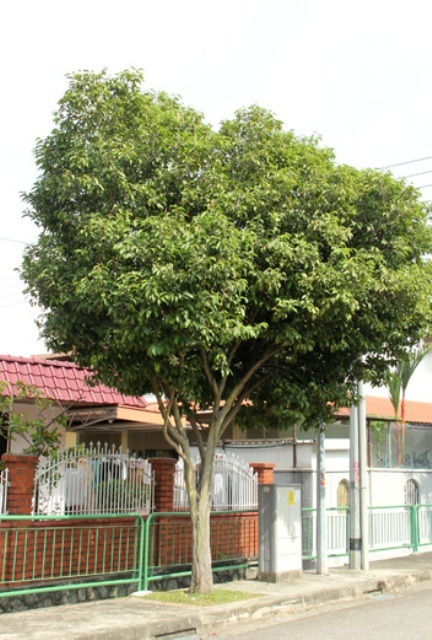 A large evergreen tree with a long cylindrical trunk. Leaves scattered, broadly ovate, 8-12 cm long and 4-6 cm broad, dark green shining above, paler beneath, margins undulate, lateral-nerves numerous and very slender, stipules minute. Flowers white, sweet scented, 2 cm across, axillary, solitary or 2-6 fascicled; calyx divided nearly to the base into 6 lanceolate, subacute, tomentose lobes; corolla tube very short, fleshy, lobes linear oblong, 7.5 cm long, stamens 8, opposite the inner corolla lobes, anthers nearly sessile, ovary adpressed silky pubescent; style slightly longer than the corolla. Fruit ovoid, yellow, 2.5 cm long. Seed solitary, compressed, light brown and shining. Spanish cherry fruits are edible. These are also used in India for making preserves and pickles. The caducous corollas of flowers, which fall in showers from the tree are valued for making garlands. 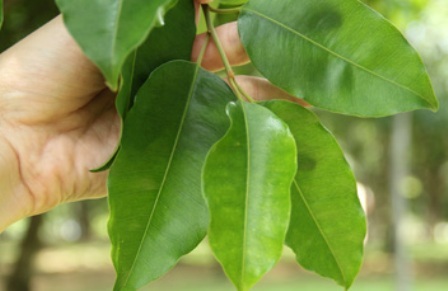 These are pleasantly fragrant and retain their fragrance even after they are dry. The dried flowers are also used in South India for stuffing pillows. The seeds contain an oil which is used for cooking, burning and in medicine. The wood of Spanish cherry trees is very strong and durable. It is used bridges, boats, ores, masts, carts, rice pounders etc. Spanish cherry trees can grow on a wide variety of soils. New plants are raised from seed.